This year, the Consortium of Latin American Studies Programs celebrated 25 years of the Américas Award in Washington, D.C. during Hispanic Heritage month. On September 28, 2018, CLASP presented the 2018 Américas Award to Ibi Zoboi for her work, American Street, and to Duncan Tonatiuh for his work Danza! : Amalia Hernández and Mexico’s Folkloric Ballet. 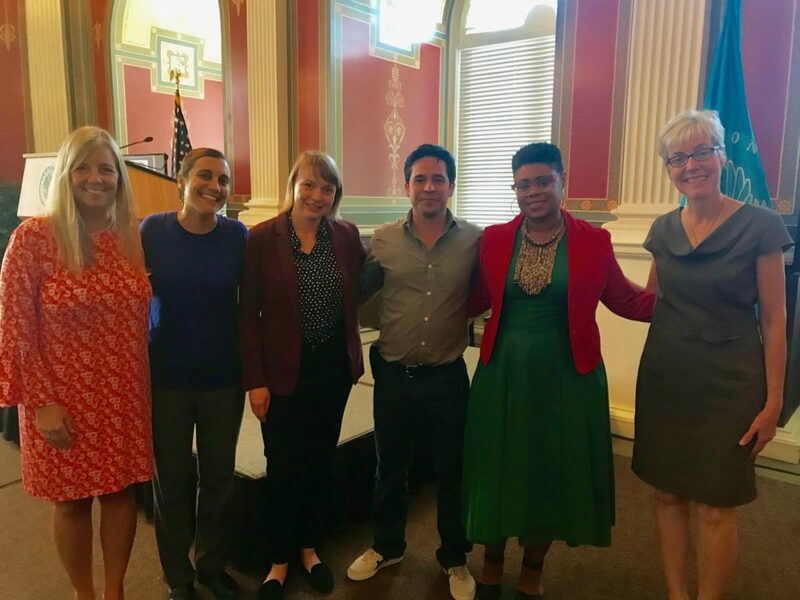 About 60 educators attended the ceremony, while more than 1,700 viewers to date have viewed the ceremony via the Library of Congress’ live-stream on Facebook and YouTube. Pre and post surveys were conducted and report a high level of satisfaction with the workshop. All participants indicated that they were “likely” or “very likely” to use the ideas and materials from the workshop in their classrooms, and all participants “felt comfortable teaching about diversity” after the workshop. Participants represented a variety of education professions, including K-12 teachers, librarians, special education teachers, English as a Second Language teachers, and higher education professors. Several teachers attended the annual workshop for the first time (38%). In line with this year’s workshop theme focused on diversity and the role of community, James Huck, the Assistant Director for Latin American Studies Graduate Programs at Tulane University, Denise Woltering-Vargas, the Senior Program Manager of the Stone Center for Latin American Studies Latin American Resource Center, and Colleen McCoy, the Outreach Coordinator at Vanderbilt’s Center for Latin American Studies kicked off the event in DC beginning on Wednesday, September 26, with an International Baccalaureate Educator Workshop organized by Julie Kline, Associate Director of University of Wisconsin – Milwaukee’s Center for Latin American & Caribbean Studies, for 35 high school teachers from Fairfax County, Virginia.